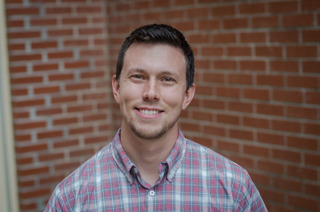 Drew has been deeply involved with the Binghampton neighborhoods for more than 14 years. For the past three years, he has strategically focused on the Binghampton area to develop the socio-economic and educational capacity of the area. He has been a board member for both the Binghampton Development Corporation and Service Over Self, both self-sustaining organizations making a difference in the Binghampton community as well as affecting thousands of volunteers’ lives by highlighting the brokenness of the city and the need to address the issues of the city thoughtfully. Drew has researched and visited many of the highest-performing urban schools in the country, as well as attending the Building Excellent Schools program in Boston, Massachusetts. Recently, he received a master of arts in education from Union University. He is bringing the best practices from these schools to Cornerstone Prep and Lester Prep, learning from the success of others. This exciting and long-term vision motivates Drew to make CEG schools life-changing schools for students, families, and the Binghampton and Frayser communities. Angie Cramer first joined the Capstone family in 2015 as the Principal of Cornerstone Prep - Lester Campus. She is humbled and ever grateful for this opportunity to be a part of this school community. Angie was born and raised in a small town outside of St. Louis, Missouri and moved to Memphis just over ten years ago. She and her husband, Steve, are the proud parents of two boys, Tommy and Ben. 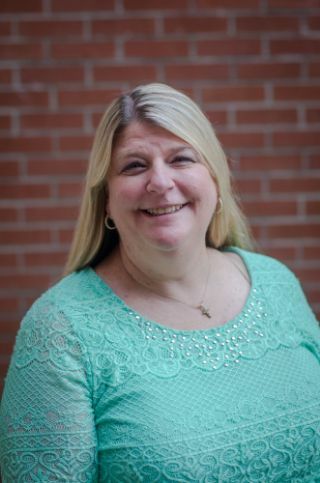 She is a life-long educator having taught special education in first grade through high school, both first and third grades in general education classes, and has served as the director of children’s ministries for a small church before her most recent position as principal. 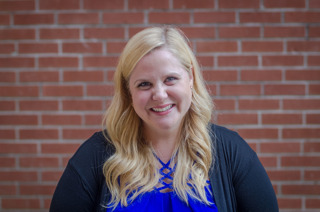 Angie holds bachelor degrees in Elementary Education (K-5) and Special Education (K-12) from the University of Missouri and a master's degree in Educational Leadership from Christian Brothers University. Four years ago she joined an organization called New Leaders and served as the Resident Principal at Shannon Elementary. She was then named the Principal of Kingsbury Elementary and served there for three years, just before coming to Cornerstone Prep. At Kingsbury she and her team worked hard, seeing awesome results over her three-year stay, closing subgroup gaps by as much as 14% with the ELL population and made double-digit gains in all academic areas. While under Angie's leadership, they were also named a TN Reward School for the past two academic years for being in the top 5% in the state for student growth. "I have learned that the same type of work has been happening here at Cornerstone Prep and the momentum is building," Angie says. 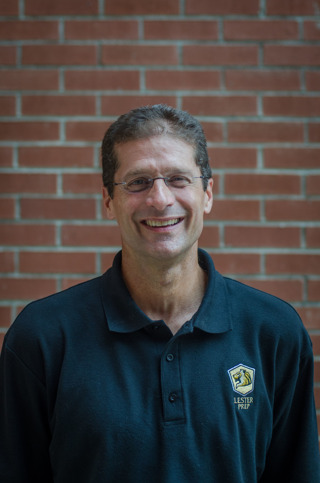 "Cornerstone Prep certainly has a lot to be proud of, and I believe there is a great foundation set here on which we can continue to build together. I believe that the future is bright for Cornerstone Prep and the Binghampton community. I am looking forward to serving alongside each of you, on this journey!" Muna Olaniyi is from Washington DC and brings over 13 years of experience in education. She comes to Memphis by way of her husband who works as a Computer Engineer for a local company. Muna began her work with Capstone Education Group at Cornerstone Prep Lester Campus, where she coached teachers in grades K-5 in literacy instruction, created an after-school tutoring program for grades 3-5 and developed an incentives program for scholars who were proficient on weekly assessments. She was quickly offered the opportunity to build the second school, Lester Prep Middle School. She assisted with hiring the leaders and founding teachers of Lester Prep and co-authored the Instructional Blueprint. This Blueprint now serves as the instructional framework for all three schools. As the Director of Academic Achievement, she wears many hats. 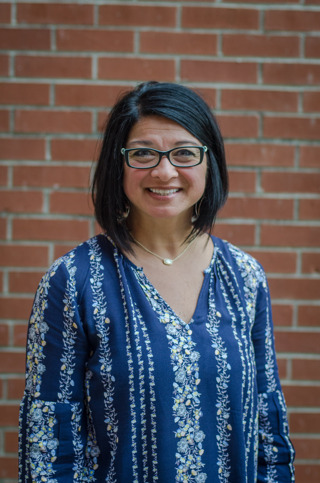 Her primary role is to work with leaders to ensure that the instructional expectations as indicated through curriculum and assessments are lived throughout the school. Muna holds a bachelor’s degree in Elementary Education with a minor in English from the University of Maryland. 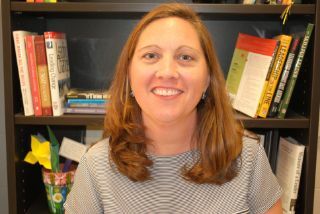 She also holds a Master’s Degree from McDaniel College in Curriculum and Instruction and Educational Leadership. Before working at Capstone Education Group, she worked for the District of Columbia Public School District. She was a classroom teacher of grades 3-6, RTI Coordinator, Instructional Coach, Instructional Specialist, and Mary Patterson Fellows Candidate. She has won awards such as Teacher of the Year and Highly Effective Educator, three years in a row. Jessica Jackson is an experienced educator who began teaching in New York City as one of the first cohorts of Teaching Fellows. She loved being in the classroom but wanted to be closer to her family. 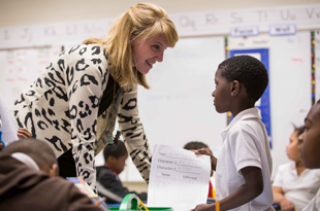 After nine years of teaching, she went through the New Leaders program to become a principal, afterward accepting her first principalship with the ASD. She has now been in education for 15 years, always working in urban schools where the need for great teachers and leaders is high! 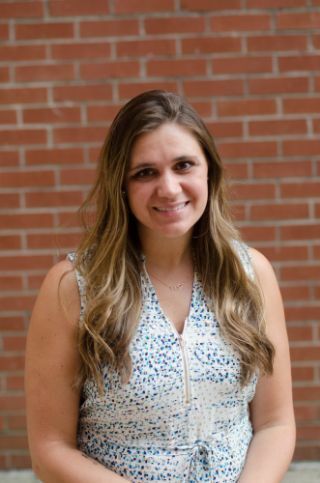 A native of Little Rock, AR, Jessica attended the University of Richmond and then Pace University, receiving her Master's Degree in Education. Jessica's grandmother fought to support desegregation during the Little Rock Central High crisis. She was part of the Women’s Emergency Committee educating others on the importance of diversity and respect. Like her grandmother, Jessica believes in equal access to high-quality education. Jessica says, "It is in my blood to do this work, and I am honored to have the opportunity to make a difference." When asked why she chooses this work in our schools, Jessica says this: "Across Memphis there are so many communities in need of great schools; there are so many teachers and leaders working hard to make their schools great. It takes so much planning and preparation to make every minute of the day purposeful with students. My role as Director of Academic Achievement is to equip teachers and leaders in the work that they do, and I love what I do! Donna Brigham joined the Capstone Education Group family in 2016 as the Director of Special Education. She brings 27 years of educational experience in both general education and special education. She spent 19 years in the classroom as a teacher and five years in leadership as Director of Special Education at a local private school. Donna had a strong desire to work in urban education to make a difference and impact students in the Binghampton/Frayser community. She has been serving the community for three years and loves working alongside other faculty and staff. Donna holds a bachelor degree in Elementary Education (K-8) and a Master’s Degree from Union University. She is has been married for 25 years and has raised two daughters in Memphis, TN. She loves to travel and spend time with her family, gardening and reading. She has served on the Board of Directors for Learning Disabilities of America, a national organization that focuses on providing support for parents, adult, and students with learning differences. She has advocated on Capitol Hill in Washington DC, for Safer Chemicals through the Healthy Children’s Coalition. While the work is hard, it is rewarding to see students persevere and reach their goals to equip them to be successful in whatever endeavor they choose. Your zip code does not define your future. Each student has the potential to go to college and be a successful member of their community. 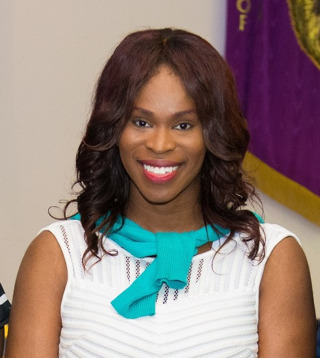 Patricia Burns became the assistant director of community and family relations at Cornerstone Preparatory School in February 2013, before becoming the manager of operations for a season. Now, she is our manager of information and business systems. She previously served as Lester community liaison for Christ Community Health Services from October 2000 through February 2013. Patricia provided reading intervention, taught character education, led a Girl Scout Troop, conducted an after-school Bible club, took students to summer camps and led a summer Vacation Bible School in the Binghampton community. 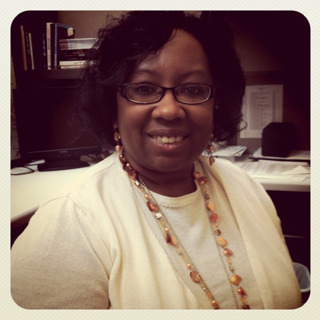 She brings a wealth of experience and community knowledge to Cornerstone Prep. “My desire for the students in Binghampton has not changed in these 13 years: to receive the quality education that every child deserves, without regard to his or her ZIP code”. Patricia earned a bachelor of arts degree in human development and learning from Christian Brothers University in Memphis, and a certificate in biblical studies from Covenant College in Coventry, England.